As Pakistanis, we generally make headlines for all the wrong reasons these days, but there is one thing we can still be proud of. Despite having a shattered economy and prevalent poverty, we are one of the most charitable nations in the world. No one could have expected that this fact would one day work against the nation as well. 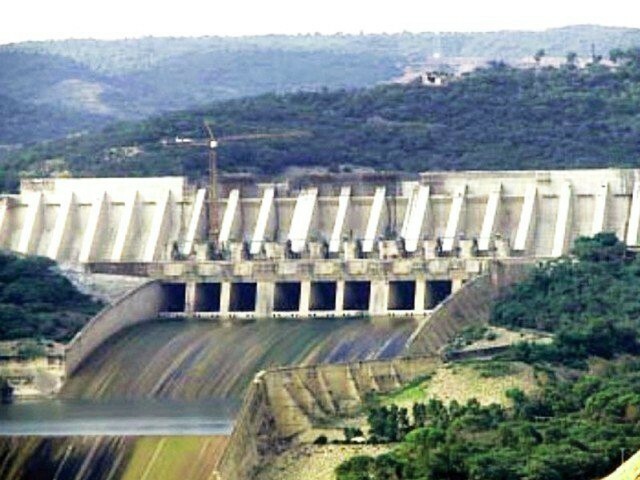 Recently, the age-old issue of the construction of dams took the limelight once again, as Pakistan ranked third among countries facing water shortage. This alarming situation put every state institution on high alert, including the Supreme Court. Fed up with the inefficiency, incompetence and unwillingness of political leadership regarding this serious issue, the Chief Justice of Pakistan (CJP) took the first step forward and announced the public fund for construction of dams in Pakistan. To lead by example, he donated a heavy sum of Rs1 million and appealed the general public to follow suit, as our Armed Forces also contributed. These steps from the CJP and the Armed Forces added value and credibility to this fund, and others also began to contribute. No one doubts the goodwill of the CJP, the Army and the masses. However, the primary question to be asked is: should dams be built with donations? If I were optimistic, I would assume there will be zero corruption in the fund. However, for me, the very idea of donations for basic infrastructural requirements is troublesome. If tax payers’ money is not being used appropriately and sums of millions and billions are being embezzled, it’s the duty of state institutions to stop that practice. It is state responsibility to hold those accountable who are making fortunes for themselves and their families, at the expense of taxpayers. After all, why should a common taxpayer have to suffer for the inefficiency of state institutions? Congestion Levy, and so on. This doesn’t include the occasional bhatta you have to pay while dealing with any government institution, right from the traffic police to the legal system. To put things into perspective, take a look at the recent default of Shaheen Air. As per the BBC, this airline is a defaulter of Rs1.5 billion. It is now up to the State to make them clear their dues and use that money for the welfare of people. Defaulters of such huge amounts are roaming free, but common citizens are expected to not only fill the void in finance created by these defaulters, but also donate money on top of it? Another example of financing public institutions via donations – despite the government having all the funds in its control – was showcased by the Pakistan Tehreek-e-Insaf (PTI). PTI formed the Provincial Government in Khyber Pakhtunkhwa (K-P), but rather than pushing his government to build quality hospitals like Shaukat Khanam Lahore, Imran Khan was asking the public to donate for a hospital in Peshawar, and that too in his name. How on earth can the leader of a provincial government even ask for donations for a private hospital in a city where his own party is collecting, managing and spending funds? Even if I buy the argument that there were insufficient government funds to build a hospital (which I don’t, by the way), the proper procedure would be to come forward with the financial details, making it clear how much money is required to build a hospital, how much is available via taxes, and how much is needed via donations. There has to be a difference in a political party’s behaviour when they are in the government, as compared to when they are part of the opposition. You campaign for years to get into power and lure people in by telling them funds are not an issue; corruption is, which is the only reason why the masses are unable to meet basic needs. But if once you are in power, the situation remains more or less the same, what is the point? There is absolutely no doubt that charity is a noble act, but both the masses as well as people in key positions of this country have to understand that the infrastructure of a state cannot be built by donations. The State subjects citizens to taxes to collect funds that are then supposed to be used to build hospitals, motorways, schools, hospitals and, of course, dams. If some institution is corrupt and embezzling millions, the State has to rectify that, rather than trying to go for a parallel funding structure through public shout outs for charity. Donations and charity cannot be resorted to for national level causes, until and unless all other financial sources are exhausted. They become acceptable in unusual situations, as they did during the war of 1965 and the earthquake in 2005. The CJP has now asked to revise the water pricing mechanism, in order to collect one-fourth of the total cost of the dam from the people. It’s quite clear he wants to use every possible channel to acquire funds for the dams. However, the primary question remains the same: why not retake the millions and billions of rupees embezzled by corrupt officials, and use it for the dams? Taxing people for one-fourth of the total cost is still not going to solve the problem, as the major chunk – three-fourth of the total cost – is still dependent upon charity thus far. Moreover, there is still no clear plan regarding how this dam will be built. If state institutions will be involved, as per the Standard Operating Procedures (SOP), how will they ensure the dam funds won’t be embezzled as well? Am I advocating against charity? No. Do I mean to stop people from being generous? No, not at all. If you see someone in need, help them as much as you can. But there is the need to differentiate between the state and an individual. After all, the country cannot be run like an NGO. For instance, we can buy licensed guns for our personal security, but what about security on a larger scale, for our neighbourhoods or cities? Will we also ask for volunteers for militias and distribute patrolling duties, in order to ensure our own security when the state fails? No, we wouldn’t (and we shouldn’t). Instead, we would put pressure on state institutions, because it’s their job to do it. You pay them. It’s your money they are supposed to use to protect you from thugs. If you think rationally, building a dam is no different. You can buy a water can or even have a well drilled or a tube well installed to help those in need first-hand. But building a dam through charity, unfortunately, is not the way forward. On the contrary, if it’s done this way, it will set a very dangerous precedent for the generations to come. This method gives undue legitimacy to the state’s unwilling approach to solve issues pertaining to corruption. Worse, it allows them to continue wreaking havoc in this country where we, the citizens (read: peasants), are constantly asked to stretch a bit more and keep giving until we have nothing left to give. Therefore, with all due respect, I can’t do more. Not anymore. While all of your points are valid and true in all their entirety. The thing you mentioned in your very second paragraph ” as Pakistan ranked third among countries facing water shortage” remains unchanged. you are right it is not our duty to donate, we already did that in form of taxes. and donating now will infact put us in worse situation since now whenever a new problem arise the govt will just resort for asking donations instead of fixing their own budget. All note that “charity” from citizens is required since adding the extremely wealthy Pakistani Feudals and Elites to the direct tax net is unthinkable! I feel the gesture is symbolic….any sane person knows that projects like this are funded in a completely different manner. With no offence to anyone, I agree with the author. This article reminds me of a story. A few years ago, the transformer in my area (where I live) was damaged by a workers building a house for a … well, to put it politely, a rich person. It was a private transformer and paid to by 14 different houses. When WAPDA personnel came they informed us that its repair will cost around 80,000 / – Rupees. The rich person agreed to pay as it was his workers who after various warnings had still managed to damage the transformer. However, after the transformer was fixed, the rich guy only paid 50,000/- PKR and asked the people of the neighborhood to pay the remaining amount. During the neighborhood meeting, I asked this question from the rich guy that if I damaged his car, would he expect me to pay for it or share the cost 50 50? He said he would demand that I pay for its repair. Hence, I rested my case. I didn’t pay for the repair of the transformer but some neighbors contributed and collected 30,000 /- PKR and paid WAPDA. 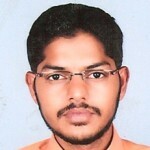 Abdulllah Ansari, you have written an excellent article, words directly from heart. My personal opinion. Donating or not donating is an individual choice. Relating it to the tax money collection and dam should be built on from that is totally a different story. Not everybody pays tax, and my question is how many small medium and large business do actually pay a tax and has tax numbers assigned to them and are audited. How you as a person will make sure or how much you know where the tax money is going , offcourse its being money laundered and being utilized in wrong way or unncessary projects. We all know how inefficient the government and is it not us who we choose and bring those people to rule us. So why complain. We are in dire need of DAM as one time we were for nuclear program to save this country from threats. I do not want to complain after 10 years that now i dont have water to drink and it should be the government 10 years ago and it was responsibility of that governement back then. I rather choose to donate rather then relying on useless goverenment to take loan from China and IMF and eat it again. I totally support CJP. Even strong economy like MALAYSIA recently have started a project called “TABUNG HARAPAN” ( google search it) to reduce the government debt as done by previous corrupt government. 40 million USD (5 Arab PKR) collected in 2 months from donations by individuals and companies. We need to save this country. Dont complain guys need your actions. hmmm then do not donate as simple as that … u will pay for the water usage the electricity generated that is not going to be free anyway.. the donation is again just a charity its not zakat or khairat or sadqa … instead of donation it should be investment meaning every single person who has donated should not only get their money back but also should get profit. Thankyou so much for writing this. This has been in the minds of all Pakistanis. I am posting two months after this article was written. We have now a new president and prime minister. Though people are enthusiastic, the control still remains with major players and institutions in our company. The problem still lies with people and the community. The government rules can punish those who are in their paying bracket while the service is exclusive for all. Consensus that was one ruffly done a year back had not been done correctly. If people are recorded digitally then it is able to control them. People do crime only and when they are given opportunity to do so. Look we all know that it’s better to be safe than sorry because today we are in dire need of Dams and according to experts Pakistan will face a Drought within next 6 to 7 years. Now my question is, What if you don’t have enough water to live the rest of your life? What if India opens the door of its dam towards Pakistan? But in my opinion I think “Haste makes Waste”. You know why I’m saying this, because when our Ex-Prime Minister Mr. Nawaaz was launching new projects, No one makes noise. He was aware of the current water crises in our part of the world, wasn’t he? He was fully aware but never give any sort of importance to this project. Secondly, When ever he takes 70 peoples with him in “UNGA”, No one complains. Every time he takes a protocol of 50 to 70 cars, again, Not a single word came from anyone’s mouth. But now if someone wants to bring a change for our future, we are judging him. Sorry but I’m not one of those who judge a book by it’s cover. Look nobody will come to help you in your crises, you have to cope it by your own. So its my humble request to please, please give/donate more and more money in “P.M/C.J Dams Funds” for the sake of your Kids, Brothers, Sisters, for your up-coming generations and for Pakistan and Pakistani, where ever you are in the world please donate, please donate for your people. Well Shaukat Khanum is an independent body, the govt can’t or should not interfere in its decision to open up one or even two more hospitals, so as long as it’s not being done at the cost of the Govt’s budget; yes there’s a fundamental difference between donations from public and government revenue via taxes (which is the basic flaw in this article’s premise). In KP the govt invested in exactly what the author proposes, i.e. strengthening the existing medical care structure, involving a few reforms. Since it did not involve hefty construction it wasn’t that prominent which is why the author may have missed it. Health care reforms at a large scale need to be done systematically, you can’t have big machines rolling in when you don’t have the staff trained to operate them or even beds to treat patients.